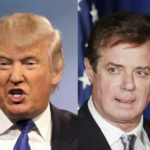 Last month we all learned that when Paul Manafort was running Donald Trump’s 2016 campaign, he gave Trump’s private internal polling data to the Kremlin. The big question at the time was how the Feds found out. Now we’re getting the official answer from Robert Mueller’s team: it was Rick Gates who told them. While this was somewhat predictable, it’s nonetheless a big deal, and it tells us a lot. Rick Gates was a longtime sidekick and business partner to Paul Manafort. But Gates was also a key Donald Trump 2016 campaign adviser, and he was loyal enough to the campaign that he stayed on even after Manafort was fired. Gates also had close ties to the Republican National Committee which went beyond Trump or Manafort. Yet despite all this, Manafort didn’t try to hide from Gates the fact that he was giving the Trump campaign’s internal data to the Kremlin. This tells us that Manafort didn’t care if Donald Trump, or even the RNC, knew he was doing it. This means they either already knew about it, or they were so knee deep in the Trump-Russia plot, they wouldn’t have been fazed to learn about it. In other words, this wasn’t merely Manafort taking a flyer by forking over this data on his own; it was an official move by the Trump campaign. Why does this matter? Back when the news first broke a month ago, Palmer Report laid out the only logical reason for the Kremlin wanting the Trump campaign’s internal polling data: it made it easier for the Kremlin’s hackers to know precisely which states and precincts to hit. The Senate Intel Committee has already confirmed that these hackers got into voter registration databases before election day, and are suspected of having deleted voter registrations in order to prevent targeted people from being able to vote. This meant that Paul Manafort and the Kremlin were conspiring to rig the outcome of the election, not just with disinformation, but with targeted hacking. Now that we know Rick Gates was also in on it, it’s a strong hint that the entire Donald Trump campaign – and maybe even the RNC – were part of the plot to use Russian hackers to alter the election’s outcome. We’re now well past the threshold for espionage and/or treason charges against everyone involved. Read more here.